I added some great makeup items to my collection this year, most of which I’ve already blogged about…Inglot Freedom Palette, Giorgio Armani Eyes to Kill and Hakuhodo brushes to name a few. Here are a few more products that deserve some special attention. Here enters Meow Cosmetics. The ingredients are the cleanest I’ve come across. My skin loves it. The coverage is great and the amount of product you get for the cost is phenomenal. The color range beats out most cosmetic lines I’ve come across. Meow offers pale to deep shades in pink, yellow, neutral, peach and olive undertones. 14 undertones in total! Meow offers light, medium and heavy coverage. I wasn’t a fan of the heavy coverage samples I got, but the medium coverage works well and is buildable. The only downside is you have to buy it online and get samples first to find a good match. This shipping isn’t the fastest. You can’t beat the 3oz of products for $22 (roughly ¼ cup). It is officially my holy-grail foundation. I purchased my jar in March and have used it 5-6 days out of the week since then and I’ve barely used a fourth of the jar. The names are all cat themed. 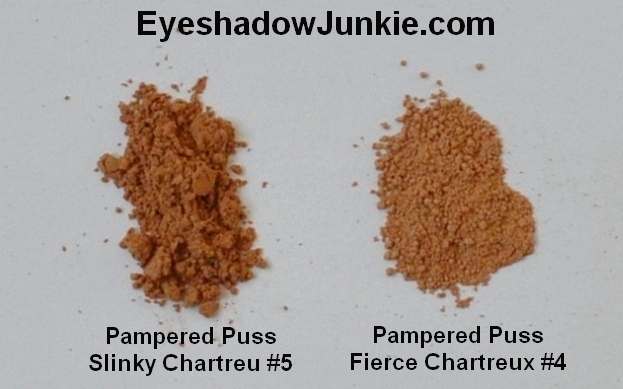 My favorite coverage is Pampered Puss (medium coverage); undertone is Chartreux (peach-yellow) in the color Slinky #5. Earlier this month, I picked up a small jar of Chartreux Fierce, which is a shade lighter. My summer tan from running outside finally faded and this color better matches my color on my cheeks and in the center of my face. Sometimes I mix the two or apply it separately; sometimes I’m in too much of a rush and use the darker shade. My diet change has greatly reduced my skins oil production. I used to produce enough oil to fry a small egg on my forehead by 10am, but now I just glisten a bit by noon. I’m not trying to stop the oil production completely, because it slows down the aging process, but I still prefer a matte look. 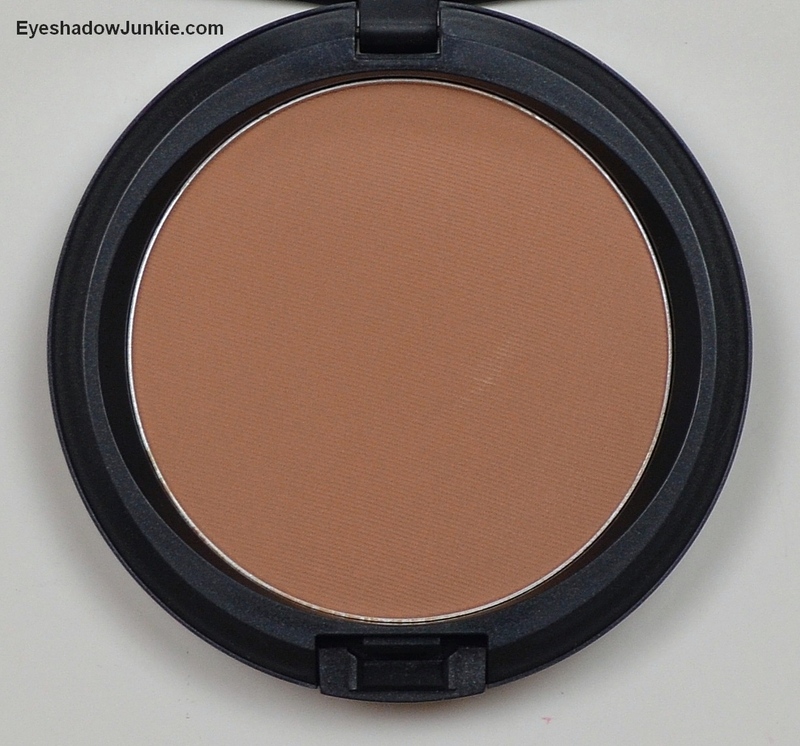 I’ve kept my distance from Mac foundation, but I’ve had great success with their Blot Powder. A light dusting of Blot Powder around midday provides me good oil control for the rest of the day. It comes in five shades (I use Dark), but it doesn’t add much color. You get 12 grams of product for $23 in mirrored compact. I prefer to use a kabuki brush than the powder puff it comes with. If you prefer the puff, I suggest you buy the multi-pack from your local drug store versus using the same pad over and over. Can I just say I love these blushes? The blush is supposed to last 12-hours. I’ve never tested the 12-hour claim, but it survives my 10 ½ hour days (work and transit). The blush is supposed to be infused with Amazonian Clay, beeswax, Vitamin E and C. The benefits of these ingredients remain to be seen, but it makes me feel better when I use it. I do wish the color range was broader. Eight shades in total are available, but I only picked up the matte blushes. You get 5.6 grams of product for $25 and is available at TarteCosmetics.com, Sephora stores, Sephora.com and QVC.com. Flush is described as a berry; Natural Beauty as red; Blissful as a warm peach and Tipsy as a coral. Makeup lovers that own Sigma brushes either hate them or love them. I’m in between. There are some products that Sigma produces that aren’t so great (and overpriced) and there are some products that are fabulous. (I will always advise new makeup lovers to get a Sigma brush kit before venturing out into more expensive brushes.) My experience has been their fluffy face brushes shed, the majority of their eye brushes are nice, but their synthetic line…sweet. I use their synthetic face brushes daily for my foundation, which I’ve posted about. So when I heard Sigma offered mini versions of their synthetic face brushes, I had to have it. 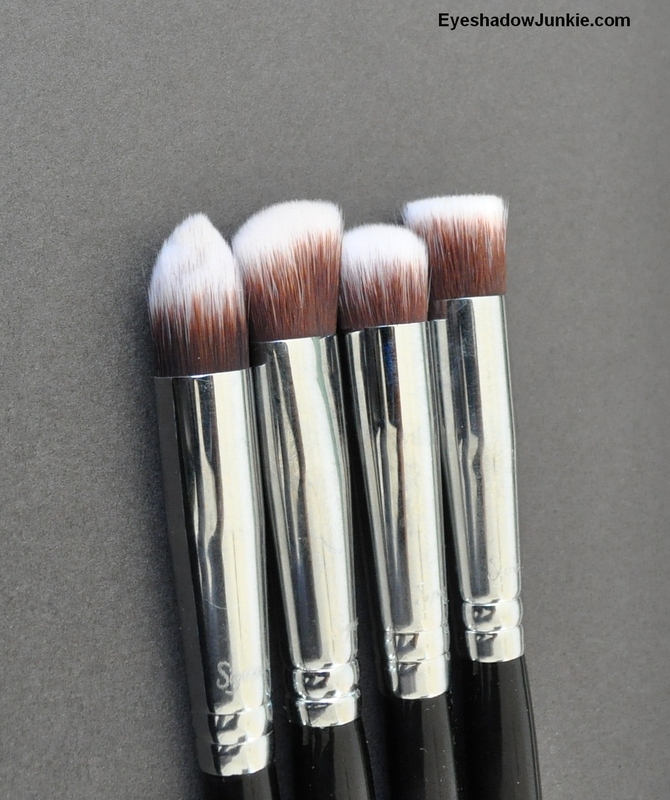 Just like the face brushes, the mini kit offers a round, flat, tapered and angled top. It is designed to mimic your fingers for makeup application. These brushes are a dream to use for applying my concealer and cream under-eye color corrector. They are also great for detailed contouring. Just like my experience with the synthetic face line…zero shedding. You can buy all four for $49 or an individual brush for $14 at Sigmabeauty.com. This is the one product mentioned in this post that was not purchased in 2011. In fact, I initially purchased this product when practicing my wedding makeup two years ago and I didn’t like it. The color (Deep, #4) was too orange for me to use so it sat in my collection primarily untouched. It was too expensive to throw out and I waited too long to return it. So why is it on this list? This year I discovered it makes a lovely blush. I had kept my eye out for a blush that would look like a natural flush of color. That is an easier find if your skin is paler, but much more difficult for brown skin. 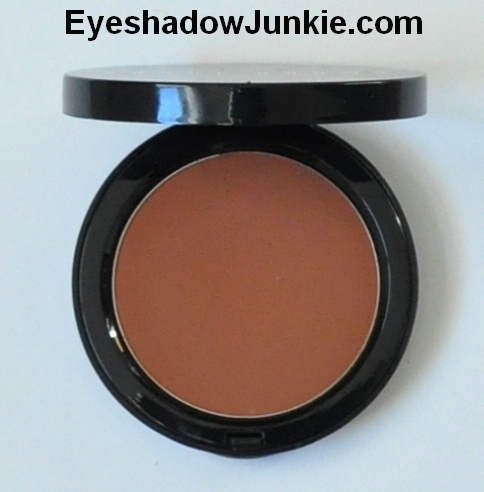 The orange undertone that made it a bad bronzer is the best part as a blush. I have reached for this product more times in the last four or five months than I have in the prior two years. What took me so long to try this as a blush? Like I said, it isn’t cheap; $35 for 8 grams of product. (A cheaper alternative would be Cover Girl’s Queen Collection.) This product on the cheek with a light dusting of a gold highlight powder on top….fabulous. This was a great find this year. A deep matte black and brown liner is hard to find, especially one that doesn’t smudge and break the bank. I’ve already posted about how great the black liner is, but the brown is equally fantastic. 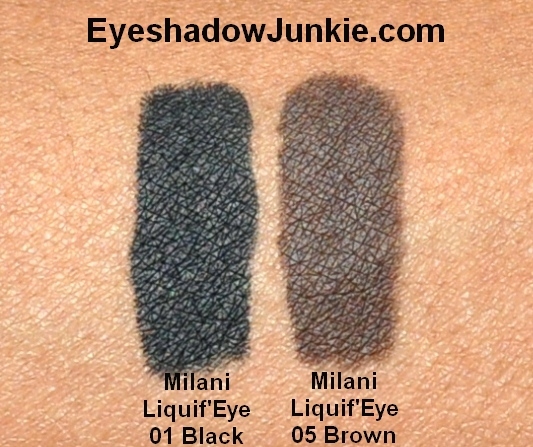 I’ve purchased too many brown liners hoping it would be dark enough to define my upper lash line, but not too brown that it ventures into black. I have a favorite Urban Decay brown liner in Corrupt that is really nice, but it’s Limited Edition. So, I was very pleased when I tried this. The downside is the formula is very soft and doesn’t hold a point well so frequent sharpening is needed (pretty much after every use). The upside, it’s only $6 at your local drug store. These are some of my favorite lip products that I picked up in 2011. Mac introduced two different lip products to its permanent line this year that are pretty nice. I also ventured into higher end lip products for the first time this year thanks to a Sephora sale. I won’t go into too much detail on each, but I will say they are pigmented enough to fight through my extremely (and annoying) pigmented lips and lasts at least four hours (mattes lasts longer). Described as a vivid pinkish purple; available for $14.50 at Mac counters and Maccosmetics.com. Described as a deep berry blue-red; available for $17 at Mac counters and Maccosmetics.com. Described as a blackened brick red; available for $17 at Mac counters and Maccosmetics.com. Described as a burgundy sheen; available for $35 at select Sephora stores, Sephora.com and Nordstrom. Described as a deep blue plum; available for $14.50 at Mac counters and Maccosmetics.com. Described as a golden purplish red, which is interesting because it looks brown on me and swatches brown. It is available for $14.50 at Mac counters and Maccosmetics.com.